The New York Draft Riots were the result of the decree that officially demanded that every able-bodied man in the Union be conscripted into the army was set in place by the president. Abraham Lincoln, the 16th president of the United States of America, made the landmark act a law in order to fund the war chest of troops that was be needed to squash the rebellion in the South. On March 3rd, 1863, President Lincoln signed and put in effect The Enrollment Act of Conscription. The citizens of New York, mostly Irish immigrants from Dublin, wanted no part of the act. They felt that the blacks that were freemen in the states of the North were their direct competition for the low-paying jobs that were available to them. This was a slap in the face to be forced to fight and die for the same people that they had no favor with. Racial tensions were high even in the free North, with both sides upset at each other yet realizing that the President would not back down from this act. President Lincoln desired 300,000 fresh troops to instill a heavy dose of “Yank-convincing” to the upstart Rebels. By the time the New York Post released the names of the conscripts in the daily paper, the streets were already filling with incensed Irish immigrants, many whose names appeared in the paper. The Irish were out for blood and they attacked and beat even lynched blacks before the Army of the Potomac was called in to quell the riot. The New York City Draft Riots caused 1.5 million dollars worth of property damage at a time when 1.5 million was the sum of most developing nations, combined GNP’s. The loss of life was the real disaster as upwards to over 75 people, most of them the targeted, innocent, and black freemen of the city. The loss of both property and life seemed to have little effect on the Union war movement as the riots did nothing to stop the induction of over 150,000 Union troops into the Civil War front-lines. 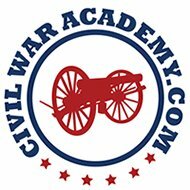 The Union and President Lincoln had devised an effective plan of recruitment, albeit through force, the necessary troops that would be needed to win the war. Highly criticized and lambasted at every turn, The Conscription Act had one fatal flaw and that was in the manner that it let the wealthy slip through the cracks. There was a loophole in the act that allowed the wealthy to buy their way out of military service for the Union. This did not sit well with the poor and the down trodden who were sent to battles to kill and be killed. The poor go to war. That’s the reality of the situation and little had changed since the freedom of oppression at the hands of the colonial British. Nothing changes when it comes to enlistment of the poor in any country. The Union had its required troop strength and the South was at the ready for the final push to the eventual end of the war.